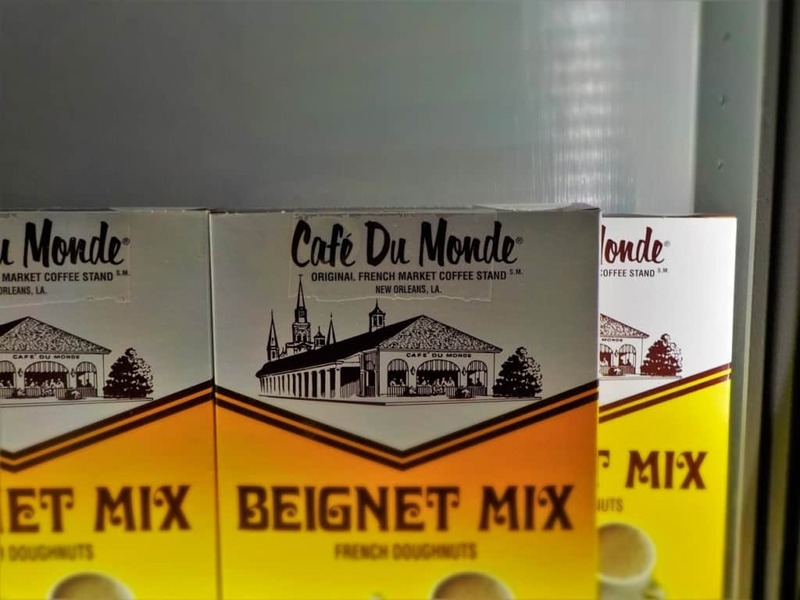 On our first visit to the Crescent City, we had the pleasure of sampling Café Du Monde, which we consider a New Orleans staple. Our return coincided with the city’s 300th birthday, and we were ready to help them celebrate. This ages old restaurant has been serving up a simple menu since 1862. The original location is located in Butcher’s Hall, which is one of the buildings in the French Market. This lies near the river on the edge of the French Quarter. 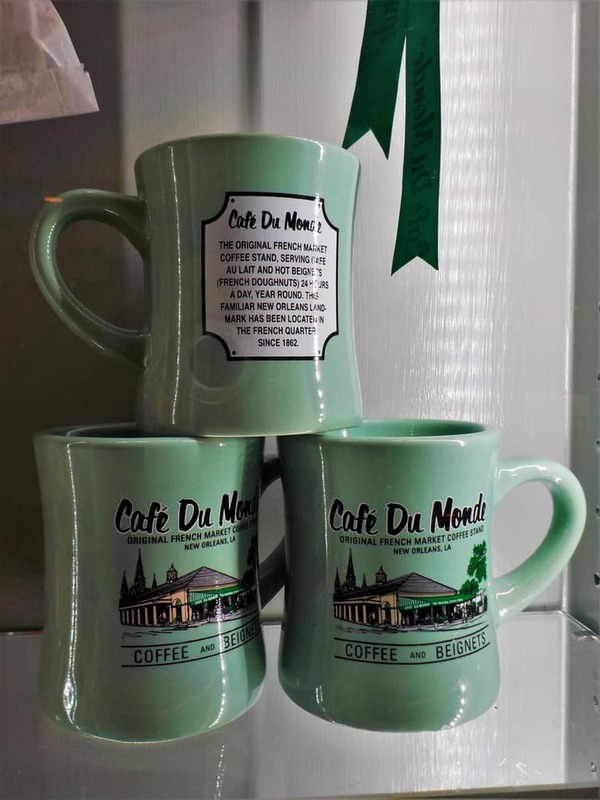 As tourism flourished, since the 1970’s, Café Du Monde has opened additional sites around the city. We were fortunate to have one of these satellite locations just a stone’s throw from our hotel. Getting a head start on our day is important, if we want to cover our schedule. We will purposely overload our days, so that we will end up seeing more places than would usually be done by an average vacationer. Our goal is to show you as many options as we can, so you can pick the ones that most appeal to you. To get all of this moving accomplished, we need to keep our bodies fueled. Our morning ritual will always include coffee, and we are flexible enough to test out the local type. In New Orleans, that means a cup of chicory-blend coffee with a plate of fluffy beignets. The combination of these two is actually a blending of staples from the menus of the Creoles and Cajuns. Around 1700, the French began to settle along the Gulf Coast, and brought with them coffee beans. By the time of the Civil War, the Creole people began blending regular coffee beans with chicory to develop their unique brew. This was partly due to a coffee shortage at that time. This new flavor combination became so popular, that after the end of the war it continued right up to today. The addition of chicory brings a slightly bitter, but chocolaty flavor to the drink. Combining this brew with scalded milk turns it into café au lait. 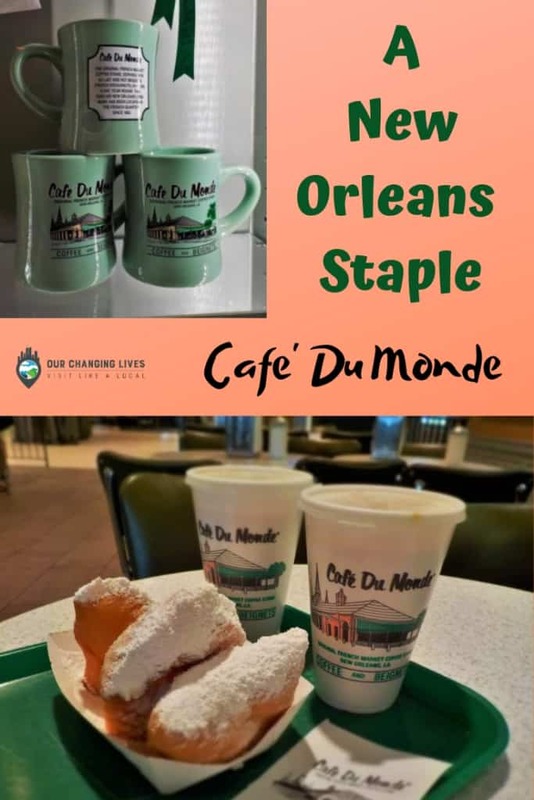 This interesting coffee variation was a perfect brew to accompany our morning treat, and is a New Orleans staple at Café Du Monde. New Orleans is the quintessential “foodie” city. Restaurants and eateries of all kinds can be found throughout the city. They are so proud of the foods they serve that many places have kitchens designed to showcase the creation process. We were fascinated by the dough roller that helps create the square biscuits, which would soon become our breakfast. The Cajun people, from Nova Scotia, brought their own French flavors to the landscape of New Orleans. Their version of the doughnut comes without a hole, and is square. Once this doughy biscuit is fried, it plumps up, which signals it’s ready for a heavy dose of powdered sugar. During our planning stage, for this New Orleans visit, I was already anticipating at least one stop at Café Du Monde. Beignets are sold in sets of three, at Café Du Monde. The airy, sugary treats are a little messy to eat, but oh so good. Our satellite shop wasn’t open 24 hours a day, as that is only available at the original site in the French market. After savoring our long-awaited New Orleans staple breakfast, we were amped up with enough energy to get our day going. Off we headed to the French Quarter, which was only a couple blocks from our hotel. 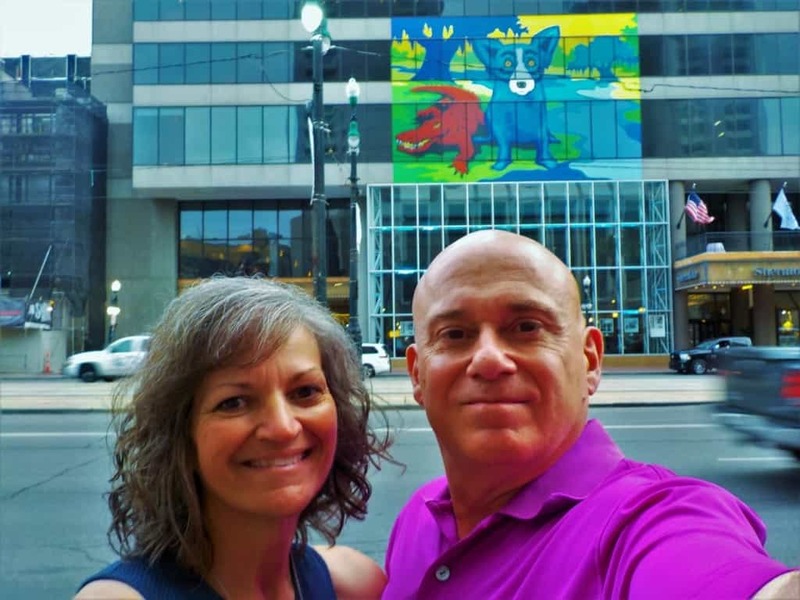 Our return to New Orleans was one of our most highly anticipated trips on our 2018 schedule. While we only had a handful of days to explore, we planned on making the most of our available time. The Crescent City is unlike any other city in the world, and must be experienced at least once in your lifetime. The sights, sounds, and smells are distinct to this place, and will permeate your memories. This visit was our first since Hurricane Katrina, and we were glad to see that much of the city had rebounded. Their 300th birthday celebration was also a time to reflect on the resiliency of the people of this close knit community. Marching bands, street parties, delicious foods, and live jazz are all New Orleans staples, and are part of the tapestry of this unique city. When was your last visit to the Big Easy? Yes, that’s a great way to put it: a New Orleans staple. We have been to the city twice and so twice we have been to Cafe du Monde!!! New Orleans is filled with memorable tastes, Carol. Glad to hear you’ve experienced them. Very taste tempting post. We loved the food in New Orleans, but I don’t think we made it to Cafe du Monde. I’d love to get back there one of these days, as we were there long before I started my blog or chocolate travels. It is clearly a foodie city, so you really should plan a return visit. OMG, how terribly naughty of you to tempt us! Cafe du Monde is not just my favorite cafe in New Orleans, but quite possibly the world. If there’s something in the world more delicious than beignets heaped with powdered sugar, I can’t think of it right now. Forgive us for the temptation, but we just couldn’t pass it up. 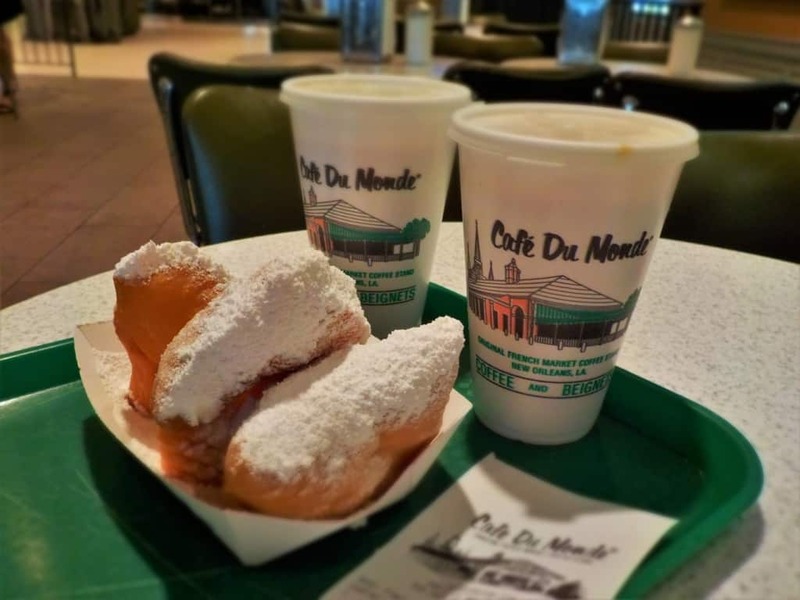 Funny that I too have a photo of Cafe du Monde in my post this week. It’s definitely an icon and not to be missed. However, when I go back, I want to try the place near the Art Museum and sculpture park, as I understand the beignets are better and less greasy. I hope you run a post about that experience. It’s always good to hear the opinions of others. Travel safely! It’s been far too long since I have visited Cafe du Monde and enjoyed their chicory coffee and beignets. It was fun to go back just now with you. 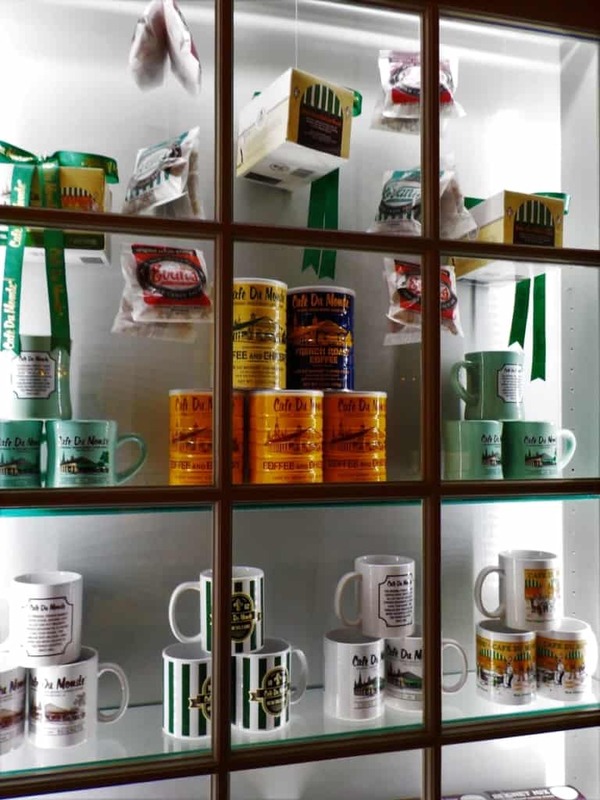 BTW, I’d love to have one of those souvenir mugs. Don’t think they were available when I was last there. So glad we were able to whisk you back to those pleasurable memories.